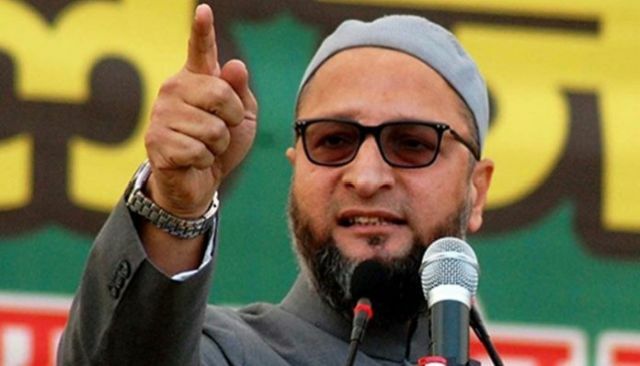 Hyderabad : Majlis-e-Ittehadul Muslimeen (MIM) chief Asaduddin Owaisi on Thursday said that the BJP is practising “pakoda politics” in the country. “What is happening is all ‘pakoda politics’,” he said while reacting to the violent protests in some states against Bollywood movie “Padmaavat”. While the Hyderabad MP did not elaborate on “pakoda politics”, his remarks were an allusion to Prime Minister Narendra Modi’s recent statement that a man making Rs 200 daily by selling “pakodas” can’t be called unemployed. “The unemployed are burning buses, attacking bus of school children, setting afire vehicles and shopping malls,” he said and alleged that those indulging in violence had the tacit support of the Bharatiya Janata Party (BJP). Referring to Modi’s statement at the World Economic Forum (WEF) in Davos that his government had replaced red tape with red carpet, Owaisi said the red carpet was rolled out for those resorting to violence. MIM president alleged that Modi had meekly surrendered to “these people”. The Hyderabad MP said there was no rule of law, as in the name of Rajput sentiments some people were being allowed to do whatever they want. Owaisi said the manner in which the government acted on complaint by Rajputs that the film hurt their sentiments showed its bias. “For the sentiments of Rajputs, the government formed a committee, changed the name of the movie, deleted many scenes and even heroine’s midriff was covered, but what about sentiments of Muslims whose personal law is being interfered with by the government,” he asked. The MP said the government brought the triple talaq Bill without consulting the community and was trying to bulldoze it in Parliament by refusing to refer it to a select committee.